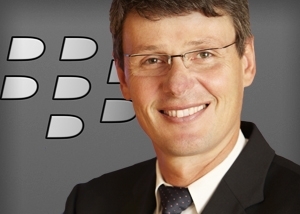 RIM CEO says "we are going to regain our market share with BlackBerry 10" | BlackBerry Blast! BlackBerry Blast! > News > RIM CEO says "we are going to regain our market share with BlackBerry 10"
RIM CEO says "we are going to regain our market share with BlackBerry 10"
In a recent BBC interview, RIM CEO Thorsten Heins continued to state his belief that the BlackBerry is not dead. Mr. Heins touted the fact that BlackBerry has 80 million users around the world and is experiencing huge growth outside the United States. "What I see in my markets outside the US is huge growth, huge commitment to Blackberry." Mr. Heins faces a serious uphill battle as users in the US and Europe are moving away from BlackBerry in droves. Corporations, governments, and regular users are moving to the iPhone and Android devices. Still, Mr. Heins says that will all change when BlackBerry 10 arrives next year. But Mr Heins remained resolutely cheery. "Quality matters," he insisted when I suggested RIM had already missed the boat. "We're not just building an update of Blackberry 7, we're building a whole new mobile computing platform. Don't underestimate the dynamic that this platform is going to create in the market." And he made this bold claim: "In the US we are going to regain our market share with Blackberry 10." We would like to believe Mr. Heins, but so far he has done nothing to prove his rhetoric is true. Since the announcement of BlackBerry 10 it's been one delay after another. We've seen developer units running BlackBerry 10 that have been impressive, but is it impressive enough to gain back US market share? Only time will tell.